A harsh Islamic State offensive begun in late February against Syria’s dwindling Assyrian Christian population is accelerating a steady trickle of Christian refugees trying desperately to reach safety in Turkey, northern Iraq and Lebanon. But their future is far from guaranteed as refugees in Muslim-majority Turkey, where according to Turkish press reports, the government recently dug a trench on the Turkish side of the border and sealed off the two border crossings with Syria on 9 March. 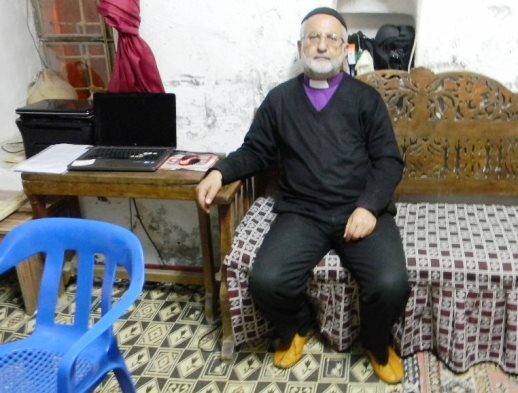 Most Assyrian Christians escaping from IS and other jihadist groups now controlling huge swaths of northeast Syria over the past two years have made their way to Mardin and Midyat, two cities in southeastern Turkey’s historical homeland of Syriac Orthodox Christianity. Although the Christian population has dwindled here to only 3,500, ancient monasteries and churches still dot the city skylines. The mother tongue of Syria’s Assyrian Christians, who are known as Syriacs in Turkey, is closely related to Aramaic, the language of Jesus. A young Armenian Catholic who calls himself Kevork is one of 150 Christian refugees from Syria who live in Mardin. He crossed the border into Turkey in October with his cousins. Smugglers demanded $400 from each of them for passage across the Khabour river separating the two countries. “My family is still in Syria. They are afraid, so my goal is to get to Europe and bring them there. They know that life is better there because you have your rights to live and work,” Kevork told World Watch Monitor. Christian refugees cannot flee Syria by conventional means. Since the Turkish border crossings were closed, only commercial trucks and emergency medical vehicles can pass. So the Assyrians must pay smugglers to help them across the border, as did Kevork, or risk overland travel past extremist checkpoints to Lebanon or northern Iraq. One Christian refugee who managed to escape Syria by plane and arrive in Mardin is a man who calls himself Gabriel. He could board a plane because he had a passport due to his previous service in the Syrian military. Most poor residents of northern Syria cannot fly because they do not have a passport. Gabriel’s city of Qamishli has been under siege by IS ever since the militants’ February attacks that emptied out a cluster of Assyrian Christian villages along the Khabour river in Hassaka province. A month later, some 220 or more Christian villagers kidnapped in the attacks are still being held hostage. On March 19 two of his friends were killed fighting in a Christian militia that is supported by Kurdish militia forces. “Without the Kurds, we would have been slaughtered. Christians don’t have the support of an army or militia,” he said. All of the refugees declined to give their real names for fear of retaliation against their relatives. Mardin is built on a massive hill and still retains a Middle East architectural style, with limestone rock buildings and semicircular arched doorways. No new buildings can be constructed in the historical district, leaving most roads narrow and unsuitable for car traffic. Donkeys are still the most effective means of transportation for carrying heavy loads up stairs that connect the city. One of the coordinators of aid to Mardin’s refugees is a middle aged-man who gave his first name of Joseph. Although he has only been in Turkey for two years and does not speak any Turkish, he is the first point of contact for new Assyrian arrivals to the city. Joseph was a relatively wealthy real estate contractor in Syria before the war broke out. Most Christians lived in security during the first decade of President Bashar al-Assad’s reign. But Joseph and his children fled for fear of being kidnapped, after militant Islamists began to target wealthy Christians in the intensifying last two years of the war. He would like to return to his home, but he is not hopeful. Many of the refugees spend their time drinking tea in a silver store run by the sons of local Syriac Orthodox priest Gabriel Akyuz. Fr. Akyuz is the priest in charge of Kirklar Church. 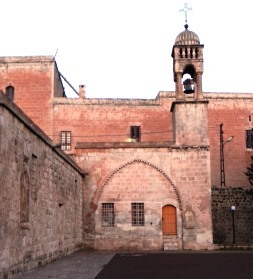 It is the center of Syriac Orthodox Christianity in Mardin, with over 200 congregants on Sunday. He is one of four church leaders who oversee aid distribution. They raise funds from the Assyrian diaspora in Sweden, Germany, the United States, Australia, and other Western countries. The church distributes funds and food to refugees in the city. At any given time there are approximately 150 Assyrian refugees from Syria and Iraq in Mardin. They stay in apartments near the church, or whatever other space that locals can provide for them. Others stay in the empty houses vacated by the thousands of Assyrian Christians who left southeast Turkey in the 1980s, during a period of violence between the Turkish military and Kurdish separatists. Two years ago the Turkish government proposed a plan to build a refugee camp for 10,000 near Mardin, with space for 6,000 Muslims and 4,000 Assyrian Christians. But only three Assyrian refugee families were willing to stay there. Most prefer to avoid the camps that the Turkish government has provided for the 1.7 million Muslims who have fled Syria’s civil war over the last four years. “They don’t want to stay at the camps because they think they will only be in Turkey for a few months anyway. They think they will be able to go to Europe and don’t want to live under the restrictions of the camp,” said Tuma Celik, a member of the Federation for Syriac Associations Turkey. Because the Christians do not stay in refugee camps, they do not receive living assistance from the Turkish government, although they are issued an ID that entitles them to receive medicine and basic health care at hospitals. Celik’s organization provides aid for the 50 Assyrian families living in and around the city of Midyat. They collect funds from the Syrian Orthodox churches in Istanbul and distribute them in the form of bank cards loaded with $25 each. The Assyrian refugees in Turkey see themselves as experiencing genocide against their people. The first massacre occurred in 1915, when the crumbling Ottoman Empire killed as many as 1.5 million Armenians and 300,000 Assyrians. Forced out of their ancestral homeland, the Assyrians fled to villages near Dohuk in Mosul province. In 1933 a second Assyrian massacre was launched by the new state of Iraq. Some Christians remained, but most fled across the border into northeastern Syria’s Hassaka province. But Fr. Akyuz sees more hope for Assyrian Christianity in Turkey. 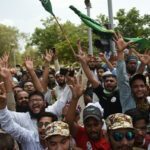 The predominantly Muslim nation is doing more to recognize the heritage of its tiny Christian minorities. The nearby Artuklu University offers courses in Syriac language study, which was essentially illegal until a decade ago. There is now a Syriac-language preschool in Istanbul. The national government has finally promised to give Syriacs permission to build a new church there, to become the first officially recognized new church building in Turkey since the founding of the Turkish Republic in 1923.